G. Frantzis group of companies has 35 years of experience operating in the Cyprus, Greece and U.K. markets with more than 260 employees and associates. Nowadays represent one of the leading and highly respected motor-business and developing company, with diversification in leisure industry. The group was established in 1983 by George Frantzis a 23-year old BSc Hons in Business Administration and Marketing. 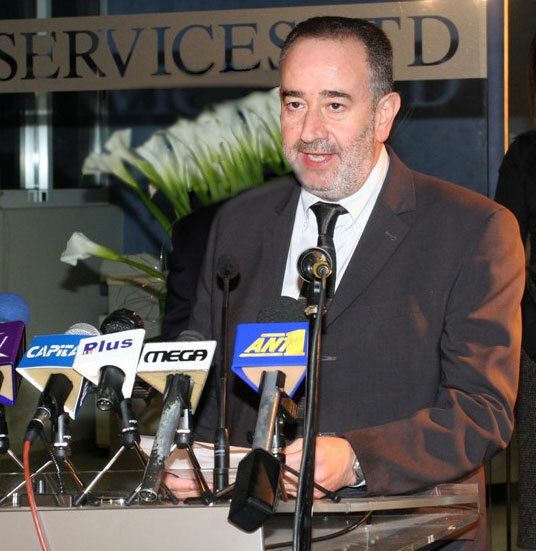 Besides his business activities Mr. George Frantzis was also involved in the sports affairs of Cyprus and in 2002 became the President of the one of the biggest athletic club in Cyprus, Limassol Athletic Union - AEL. Upon graduation, Mr. George Frantzis started his journey into the world of private entrepreneurship - a journey that has been a very successful one for the last 35 years. At the beginning the company was selling used cars and after 1984 was dealing with luxury new and used cars imports from U.K. In 1989 G. Frantzis group member company, G.Frantzis Motors Ltd, became an official authorized Mercedes-Benz Sub dealer in Cyprus. G. Frantzis group of companies entered into property industry in 1988 by establishing G. Frantzis Motors & Enterprises Ltd with main purpose of dealing with properties. In 1994 G. Frantzis group of companies started wider diversification entering further into property industry, when G.Frantzis Developing Ltd is established. G.Frantzis Developing Ltd is a company specialized for residential and commercial development projects. In further diversification the group obtained entering leisure industry when G. Frantzis Travel & Tours Ltd was established in 1996, offering to clients’ world-class amenities like, limo service, yacht chartering and private airplane services. In 2002 G. Frantzis group of companies introduced New Line Parts Ltd, as a member company and it is offering investment and consulting services to clients in Cyprus and overseas. The company quickly become known among the investors by offering tailor-made service and strategy for each investor for their long-term investment planning. From January 2004 until today, G.Frantzis Motors Ltd is operating as Purchase Agents for Mercedes-Benz branded cars. In order to provide full and top quality service to Mercedes-Benz clients G.Frantzis Motorservices Ltd was established in 2007 as authorized Mercedes-Benz aftersales service. Today G. Frantzis group of companies consists of G. Frantzis Motors Ltd, G. Frantzis Motors & Enterprises Ltd, G. Frantzis Developing Ltd, G. Frantzis Motorservices Ltd, G. Frantzis Travel & Tours Ltd. and New Line Parts Ltd.